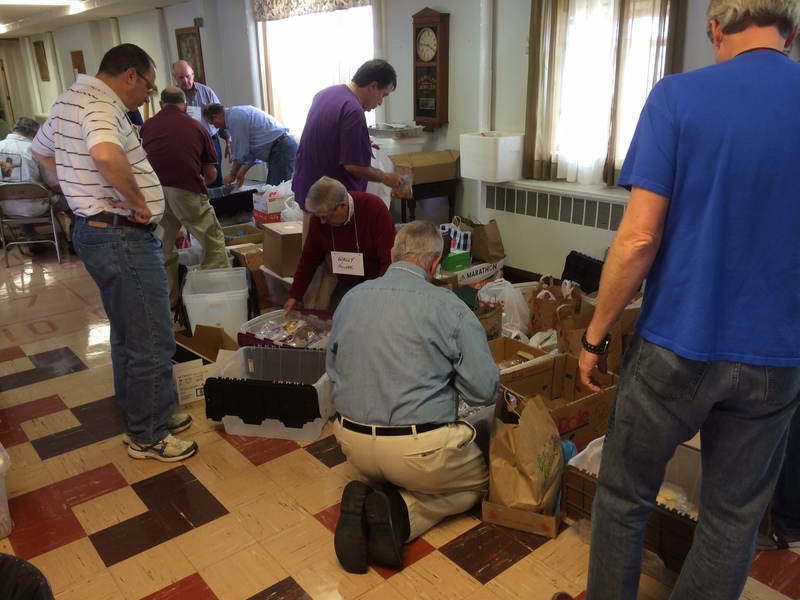 …a little like witnessing the miracle of the loaves and fishes. I like to collect my cookies in baskets, as a reminder of the miracles that are still happening every day. 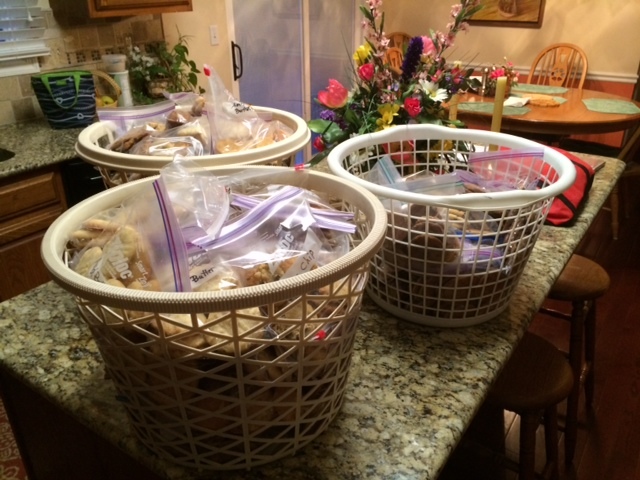 We collect the cookies to serve to the participants at every Kairos Prison Ministry Weekend. We tell our Kairos brothers that we’re offering them a “bottomless bowl” of cookies, to provide a tangible example of God’s love for each one them…love poured out by the members of God’s family. And so, as Kairos #7 begins at Menard Maximum Security Prison in southern Illinois later on today, we’ll be going in — my Kairos teammates and I — with something on the order of 1,700 dozen cookies. Chances are, the cookie bowls will indeed remain full throughout the Weekend. And what a blessing that is, to know that so many in the Christian community are sharing in the work of this ministry. Your cookies — and the love and prayers baked into each and every one of them — are proof that our God is gracious and bountiful, indeed. 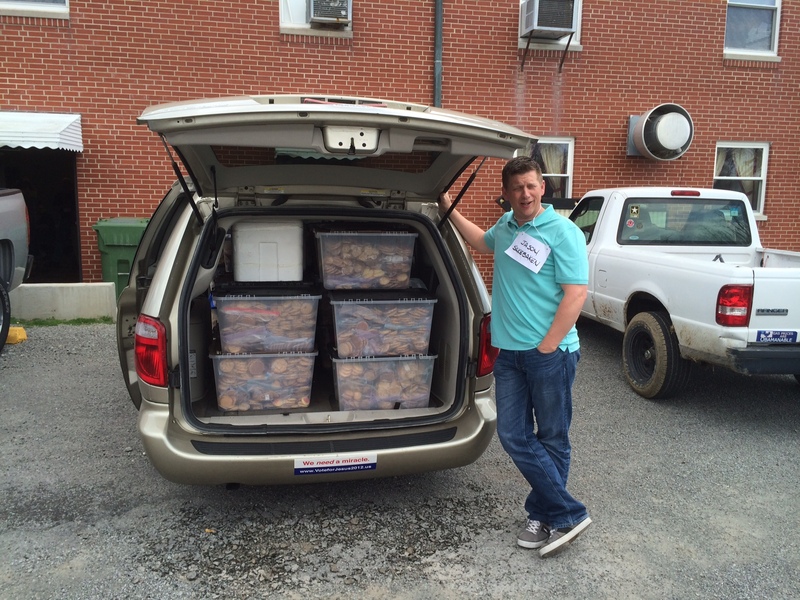 It’s a big job, packing 20,000 cookies into bins for transport into the prison.